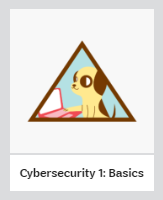 The Merit Badge Counselors page now has three tabs. 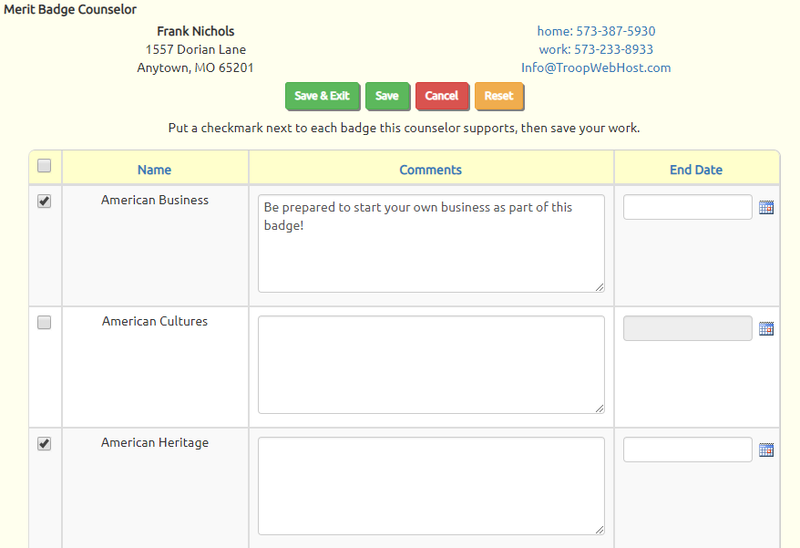 The first tab shows all merit badges and the counselors who support them. The second tab is new - it lists all of the merit badge counselors who belong to your troop. The third tab shows the merit badge counselors who are not members of your troop. Click the Add / Update Badges button to sign up merit badge counselors for multiple merit badges. A new report lists the merit badges for which you do not currently have any merit badges counselors. 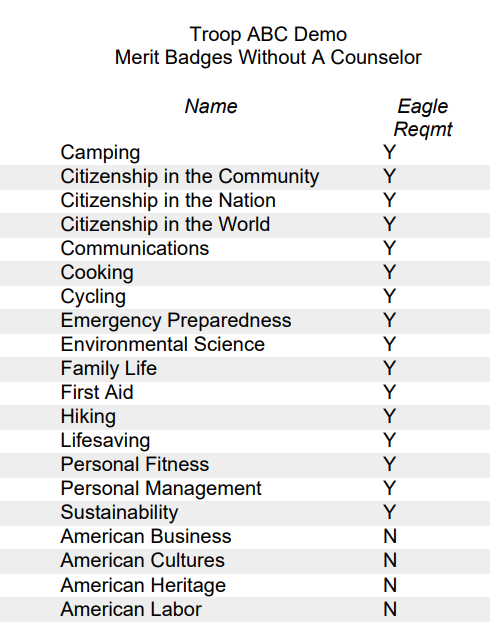 It highlights the Eagle-required badges at the top, followed by all other merit badges. The system no longer allows you to assign the same merit badge to the same merit badge counselor more than once. The Girl Scouts recently added a number of new STEM focused awards at all age levels. These are all now available in TroopWebHostGS. 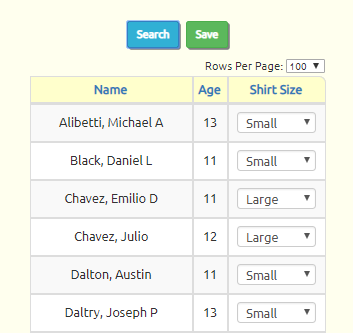 Each gives you the ability to quickly enter the shirt sizes for everyone on one page. 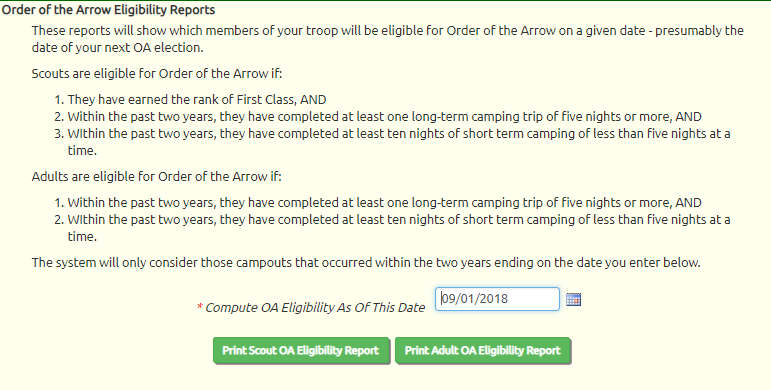 You may now enter an effective date for the Order of the Arrow Eligibility reports. This allows you to run it in advance for the date of your troop's OA election. Both the Scout Eligibility Report and Adult Eligibility Report may be run from this same page. Maintain Events (aka Add and Update Events) now makes it easier to find the events you are most likely to update - those that are just about to happen and those that happened recently. Upcoming Events starts with any current events, and then goes forward in time. Past Events also starts with any current events, and then goes back in time. When your troop switches banks, you naturally create a new Troop Account. But the Troop Account for the old bank lingers on, even after you've reconciled your last statement. The system now allows you to deactivate the old Troop Account by clicking the Inactive checkbox, as shown below. This will not affect any previous transactions entered for this account, but will prevent you from entering any new transactions for this account. You can now exclude selected positions from the Our Adult Leaders page by going to Site Configuration → Leadership Positions and updating the position you wish to exclude. Check the checkbox circled below, then Save & Exit to save your change. 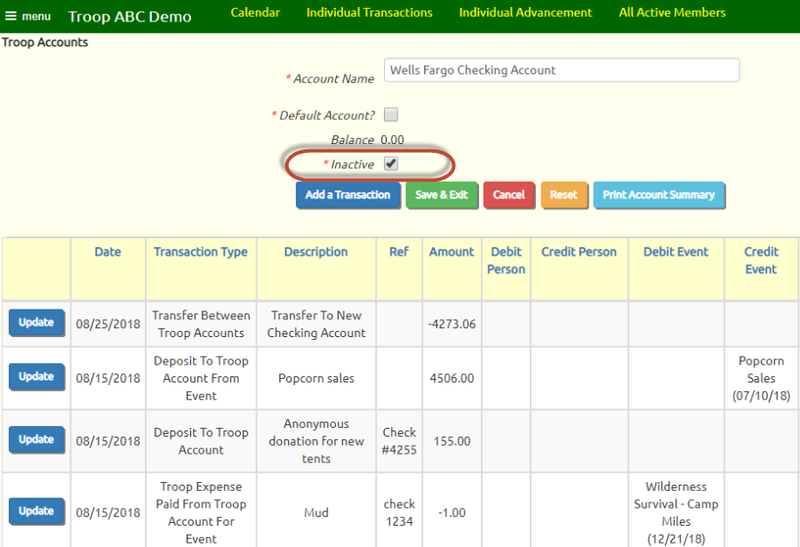 Some troops choose to absorb the credit card transaction fee when parents use an on-line payment to deposit money to their scout's account. This causes a "PayPal Fee" transaction to be generated to record this expense. We now allow you to designate a budget item to be associated with the PayPal fee. This will cause these fees to be automatically added to the "Actual Expense" for that budget item. 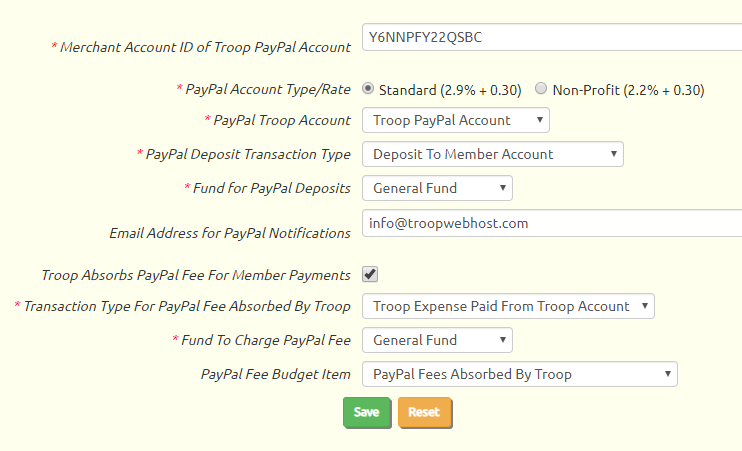 Troops have the option to include their troop name as part of the FROM name when they send e-mail from the site. Until recently, this included the city in which the troop is based, like this: "Troop 119 Fort Myers - John Corning". This has been changed to omit the city, so it will now appear like this: "Troop 119 - John Corning". 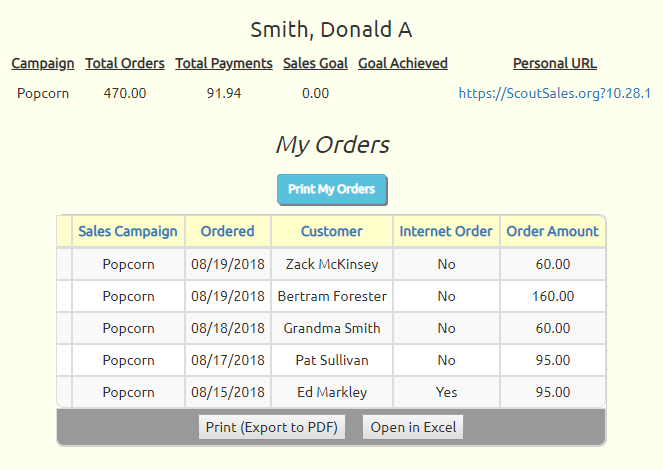 Scouts are not allowed to update their fundraiser orders after the Scout Order Entry End Date, as shown below, but they can still use the Print My Orders button to print their order detail when it's time to deliver. When you upload files - documents, photos, e-mail attachments - to the site, the system generates a unique file name before saving it to our server.